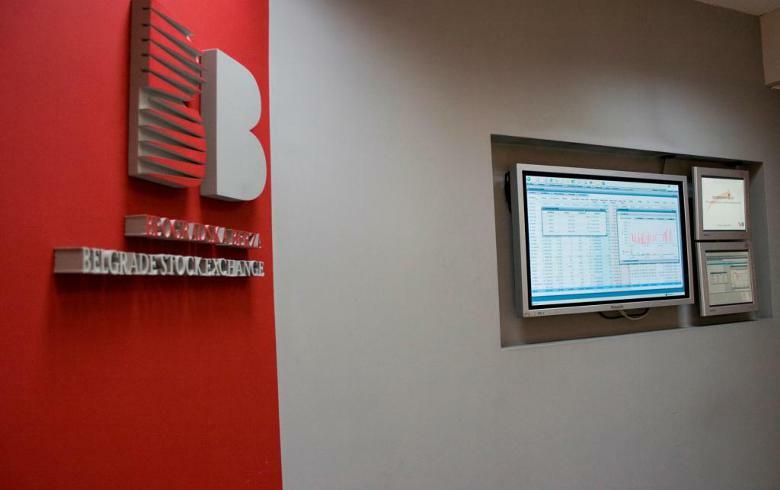 BELGRADE (Serbia), April 15 (SeeNews) - Lender Komercijalna banka [BEL:KMBN] generated the highest turnover on the Belgrade Stock Exchange on Monday, as stock indices ended up, bourse data showed. A total of 4,468 Komercijalna shares changed hands, generating a turnover of 12.4 million dinars. Komercijalna won 0.95% and closed at 2,776 dinars. The BELEX15 index, which tracks the most liquid shares on the Belgrade Stock Exchange, ended the session 0.58% higher at 740.59 points. Civil engineering group Energoprojekt [BEL:ENHL] led the blue-chip gainers' list as its share price rose 4.24% to 689 dinars. The broader BELEXline, a free‐float market capitalisation weighted index, closed up 0.50% at 1,590.35. The total turnover on the bourse increased to 1.259 billion dinars ($12.1 million/10.7 million euro) on Monday from 68 million dinars on Friday, as 197 transactions were carried out. Trading on the multilateral trading facility (MTP) of the Belgrade Stock Exchange resulted in a turnover of 352,765 dinars. Trading in Treasury bonds contributed 1.242 billion dinars to the total turnover on the stock market on Monday.